CBD Oil Review rates iPuff with one star because it qualifies for the Mission Badge. Colorado-based brand iPuff is more of a “one-stop shop” than it is a source for potent CBD oils. The relevance of this company ultimately depends on what kind of experience the customer is looking for in a CBD purchasing endeavor. There is an almost overwhelmingly vast quantity of items for sale, both on their site and in multiple store locations across Colorado. 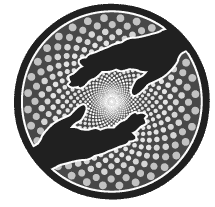 For the individual who has only just heard of CBD and its promise in assisting with chronic illness and disabilities, iPuff may be a great place to check out. 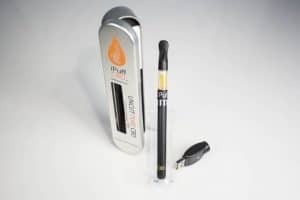 One could buy everything but the kitchen sink here when it comes to all things cannabidiol-related — be it vape pens, accessories, carrying bags, tinctures, vaping oils, and even iPuff apparel. Unfortunately, there appears to be no real quality controls or standards to which iPuff adheres when selecting brands to retail. Information about the source of their hemp and their testing methods — and therefore the safety of their products — is virtually non-existent. They do state that they derive their CBDs from organically grown hemp, which one could presume is grown in Colorado, but that old saying about making assumptions should come to mind in the overwhelming absence of evidence. When it comes to customer service, however, it does seem as though iPuff is at the top of their game. Nothing is more frustrating than paying top-dollar for a defective or disappointing product and being unable to return it or, worse yet, being unable even to reach a live human being when calling. 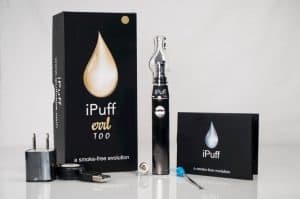 iPuff clearly outlines the various details of warranties offered on their site, which could be a big deal for those hesitant to buy their first vape pen. 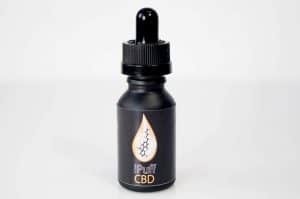 Overall, however, iPuff remains a barely passable source of variety for those who seek to do all their CBD shopping in one fell swoop. Mission Verified – iPuff strives to offer consumers the widest variety of CBD-related products available on the entire internet along with solid customer service. Hi What happens when you leave your vape pen in the light/ sunlight? I know you say keep it out of light but you don’t say why??? ?